← Beat that Captain Birdseye! The best tomato pasta in the world! In any normal year, come August and September, Mr Mac and I usually take on an orange glow due to the amount of tomatoes we eat. 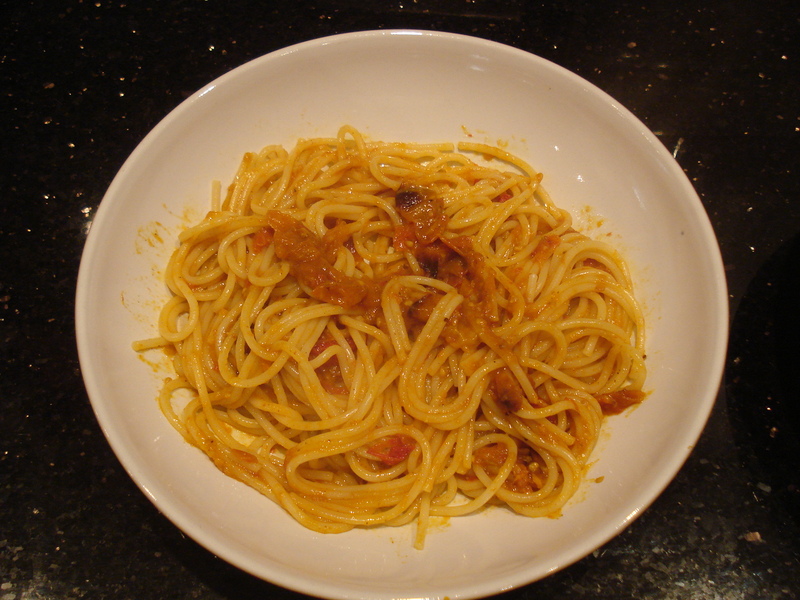 Our staple diet is usually this simple pasta dish which originally came about as we had to find ways to use up all the tomatoes. This year it was 21 September before we ate it for the first time and I have been waiting all summer to share it with you! It takes minutes to prepare and you can leave it in the oven for an hour and go potter in the garden. 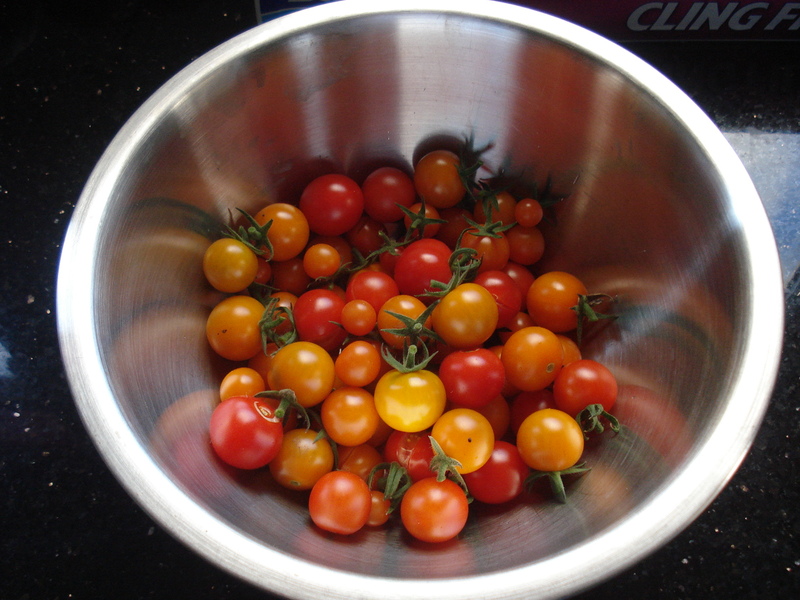 Fill a bowl with ripe tomatoes. Wash and slice in half (or quarters if they are large). Place in a roasting tray and add a generous helping of salt, freshly ground black pepper, a drizzle of olive oil and a glug of balsamic vinegar. 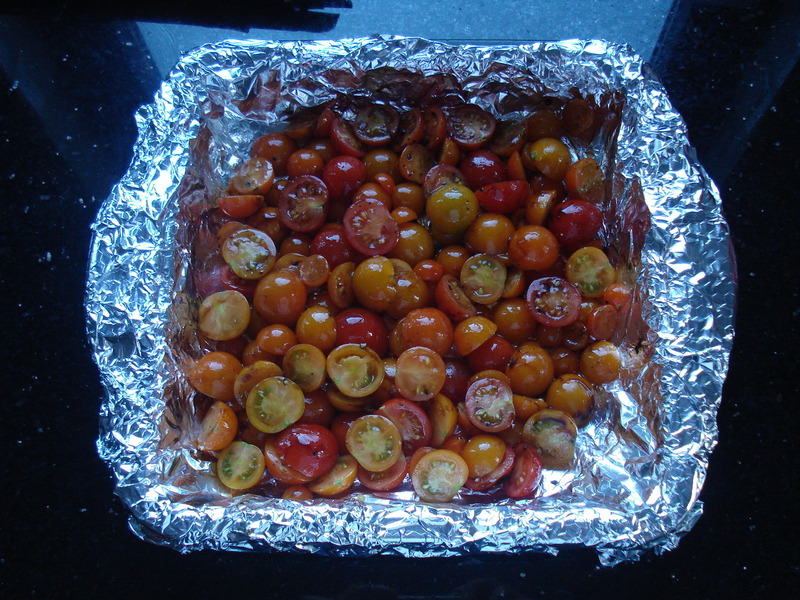 Place in an oven pre-heated to 180 degrees C until the mixture has reduced and the tomatoes have started to caramelise. This usually takes about an hour. Check after 30 minutes and give it a stir. It will look very watery but, trust me, it will reduce down to a gorgeous sauce. Boil and drain the spaghetti and stir in the tomato sauce. We have tried adding garlic but I think this makes it bitter. 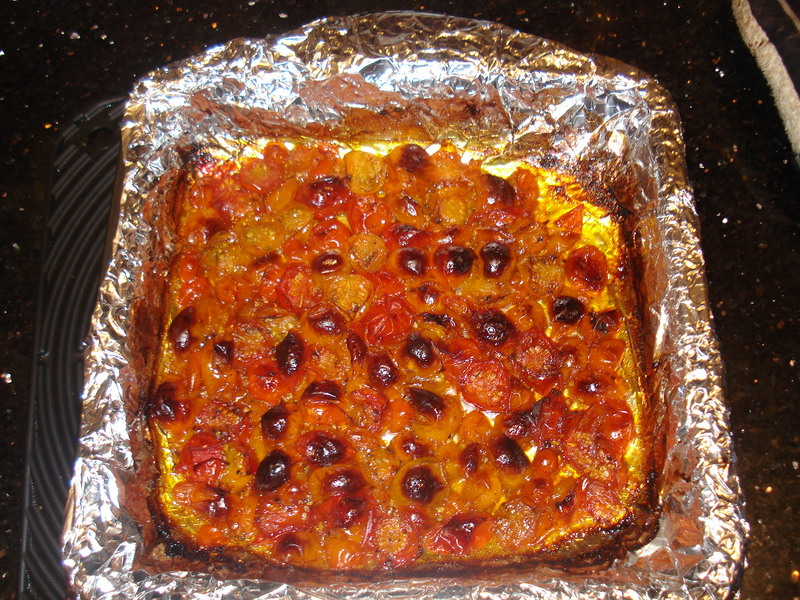 Chorizo works well cut into small cubes and also using chilli oil instead of olive oil adds a nice bit of heat. However, I believe the tomatoes are always the star of the meal and this is definitely a case of less is more. This entry was posted in Recipes, Vegetables and tagged dinner, easy meals, food, growing tomatoes, pasta dish, spaghetti, tomatoes, vegetarian. Bookmark the permalink. The idea of you and Mr Mac looking as if you’ve been Tangoed made me giggle. I shall try this recipe…. anything you can leave in the oven while you garden is a guaranteed winner!